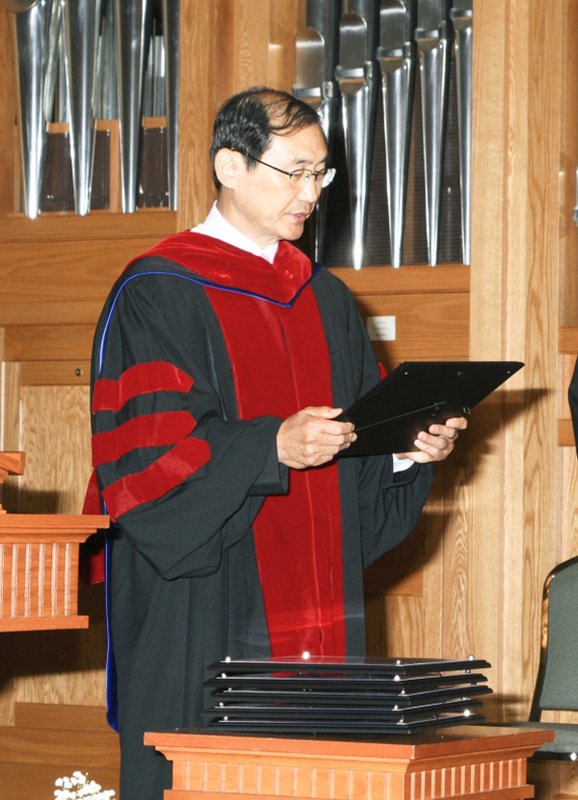 GBTIS not only provides systematic and practical education system to those who seek to study theology in Korean to effectively serve the church, but we also provide opportunities for them to master their academics, to effectively carry out the commands of the Lord, and to reach local communities and eventually, world mission. Along with Chairman Dr. Bill Bruster, five directors and twelve professors & staff members are all working to serve the school, and through cooperation with BGCT, they are dedicated to further opportunities for the graduates in order for them to branch out into the ministry. For we cannot work during the night, we must work our hardest during the day. The sweat and tears we are shedding now will be repaid with the joy of plentiful harvest. To all those who embrace God’s calling for the Global generation and seek to work towards God’s glory, we welcome you to Global Baptist Seminary.